Florida’s moist, warm climate makes the perfect environment for growing Shiitake mushrooms. It takes a great deal of patience to wait the 6-12 months for Shiitakes to grow, but the rich flavor added by these prized mushrooms is worth it. 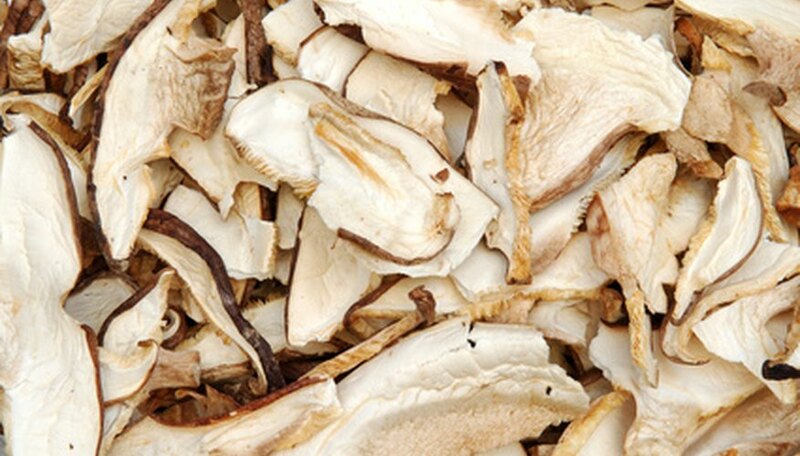 Shiitakes grow best in warm, shady locations and need organic substrate such as wood or straw to grow properly. Order a Shiitake mushroom spawning kit before preparing logs, as the size of inoculation tools varies by each individual kit. Collect oak logs during early fall or late winter. Laurel oaks are abundant in Florida and are often downed by hurricanes. Cut up logs into 4-foot sections no more than 8 inches in diameter. Be sure other fungi species have not already colonized the wood. Drill holes into the logs matching the size of the inoculation tool containing the Shiitake spores. Follow the directions on your mushroom spawning kit. Inoculate the logs by inserting spawn into the drilled holes. Spawning kits often include plugs that are inserted directly into the holes or inoculated sawdust. Seal the inoculation holes with hot wax immediately after inserting spawn. It is crucial to seal the holes as quickly as possible to prevent contamination by other spores. The Paddy Straw mushroom is abundant in Florida and will colonize oak logs if given the chance. Seal the ends of logs with hot wax for added protection. Place inoculated logs in an "X" pattern in a cool, shaded location. Ideal locations are in or near forested bogs with continuous shade and high humidity. Drape a shade cloth over your logs to protect them from the Florida sun and deter scavenging animals. Monitor the humidity of your inoculated logs once or twice a week. During the summer when rainfall declines, logs should be sprinkled with enough water to equal 1 inch of rainfall per day. Logs can also be soaked in water before inoculation to increase humidity. Harvest your Shiitake mushrooms once caps are fully opened. After the first harvest, logs can fruit several times a year for up to six years. Never allow logs to dry out or your mushrooms will die. Avoid pines and Red Oaks when looking for suitable logs. Shiitake mushrooms can take up to a year to fruit.